Spirochaetal infections include those due to Treponema, Leptospira and Borrelia. these skin lesions usually involve the palms and soles. There may also be bone involvement, particularly the long bones and those of the hand. In late yaws bony lesions may progress to cause gross destruction and disfigurement, particularly of the skull and facial bones, the interphalangeal joints and the long bones. Plantar hyperkeratosis is characteristic. Like syphilis, there may be a latent period between the early and late phases of the disease, but visceral, neurological and cardiovascular problems do not occur. Serological tests for syphilis are positive. Treatment is with long-acting penicillin. Bejel (endemic syphilis) A variant strain of Treponema pallidum, sometimes referred to as T. pallidum endemicum, is responsible for this infection and is spread by non- enereal routes in situations where hygiene is poor. The organism enters through abrasions in the skin. The disease is also found in children and differs from venereal syphilis in that a primary lesion is not commonly seen, although the late stages are indistinguishable from syphilis. Specific treponemal serology tests cannot differentiate these conditions and treatment is the same as for syphilis. 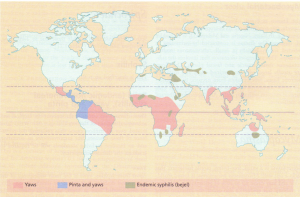 Pinta is restricted mainly to Central and South America but otherwise closely resembles endemic syphilis. The primary lesion is a pruritic red papule, usually on the hand or foot. It may become scaly but never ulcerates and is generally associated with regional lymphadenopathy. In the later stages similar lesions can continue to occur for p to 1 year associated with generalized lymphadenopathy. Eventually the lesions heal, leaving hyperpigmented or depigmented patches. Syphilis serology is positive and treatment is as for other treponemal infections by longacting penicillin. 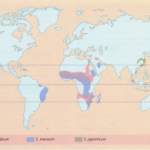 This zoonosis is caused by the Gram-negative organism Leptospira interrogans. There are over 200 serotypes; the main types affecting humans are L. interrogans icterohaemorrhagiae (from rodents and other wild animals), L. interrogans canicola (from dogs and pigs) and L. interrogans hardjo and L. interrogans pomona from cattle. Leptospires are excreted in the animal urine and enter the host through a skin abrasion or through intact mucous membranes. Certain occupational groups are particularly at risk, namely veterinarians, those involved in animal husbandry, abattoir workers and, in the past, miners and sewer workers. Pet owners and those who take part in water sports in inland waters are also exposed to the infection and now make up over 50% of all reported cases. Weil described a disease that consisted of jaundice, haemorrhage and renal impairment due to L. icterohaemorrhagiae but, fortunately, only 10-15% of patients suf-fer such a severe illness. 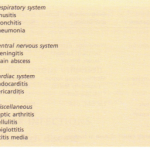 The majority of infections are subclinical or cause a mild non-specific fever often undiagnosed. The incubation period is usually 10 days (range 2-20 days). More severe leptospirosis has two phases: a leptospiraemic phase lasting up to 1 week, followed by an immune phase, which is generally separated from the former phase by an asymptomatic period of 1-3 days. The leptospiraemic phase, which lasts 4-9 days, is similar to many acute systemic infections and is characterized by severe headache, fever, malaise, anorexia and myalgia. 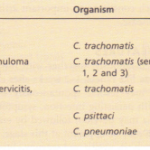 The majority of patients have suffusion of the conjunctivae. Infrequently there is arthralgia, hepatosplenomegaly, lymphadenopathy and various skin rashes. During the immune phase of the illness 50% of patients have meningism, about one-third of whom have CSF lymphocytosis and a modest elevation of CSF protein concentration. The majority recover uneventfully at this stage. However, a small proportion go on to develop tender hepatomegaly, jaundice, haemolytic anaemia and oliguric renal failure with microscopic haematuria. Occasionally cardiac involvement develops, characterized by atrial and ventricular dysrhythmias and congestive cardiac failure occurs. The mortality of leptospirosis is very variable but with a severe infection in the elderly it can be as high as 15-20%. CULTURE. Leptospires can be cultured from blood or CSF during the first week of the illness. A minority of patients excrete the organism in the urine during the second week of the illness and may continue to do so for a further 2-4 weeks. SPECIFIC IgM LEPTOSPIRAL ANTIBODIES appear by the end of the first week. BLOOD TESTS show a polymorpholeucocytosis and a raised ESR. OTHER LABORATORY INVESTIGATIONS may be abnormal, depending on the organs involved. Leptospires are sensitive to penicillins, erythromycin, tetracycline and chloramphenicol. Penicillin is most commonly used (2.4 g daily for 1 week) and should be given at any stage of the illness. Complications, e.g. renal or liver failure, are treated appropriately. Avoid direct contact with rats, avoid immersion in natural waters and shower after canoeing, windsurfing, waterskiing or swimming. The relapsing fevers These conditions are so named because, after apparent recovery from the initial infection, one or more recurrences may occur after a week or more without fever. The disease is caused by members of the genus Borrelia. B. recurrentis is spread by body lice and only humans are affected. This louse-borne variety occurs in epidemics when humans live in close contact in impoverished conditions; the infected louse is crushed by scratching allowing the spirochaete to penetrate through the skin. B duttoni and other Borrelia species are spread by soft (Argasid) ticks. Rodents are also infected and humans are incidental hosts acquiring the spirochaete from the saliva of the infected tick. This disease is found where traditional mud huts are the form of shelter but is also found in old houses and in camp sites in the USA. 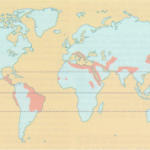 These diseases are however found mainly in Africa, India, the Middle East, Mediterranean Europe and South America. Symptoms begin 7-10 days after infection and consist of a high fever of abrupt onset with rigors, generalized myalgia and headache. A petechial or ecchymotic rash may be seen. The general condition then deteriorates, with delirium, hepatosplenomegaly, jaundice, haemorrhagic problems and circulatory collapse. Although complete recovery may ccur at this time, the majority experience one or more relapses of diminishing severity approximately 1 week after the initial illness. Without specific treatment, approximately one-third of patients will die. Louse- and tick-borne relapsing fevers are clinically similar, although louse-borne fever tends to have a shorter initial illness with more frequent relapses. Spirochaetes can be demonstrated microscopically in the blood during febrile episodes. Tetracycline or erythromycin are most commonly used. A severe Jarisch-Herxheimer reaction occurs in many patients often requiring intensive nursing care and intravenous fluids. Ticks live for years and remain infected, passing the infection to their progeny. These reservoirs of infection should be controlled by spraying houses with insecticides such as 2% benzene hexachloride and by reducing the number of rodents. In contrast, patients infested with lice should be deloused by washing with 1% Lysol or dusting with 10% dicophane (DDT); all clothes must be thoroughly disinfected. essential as infection is unlikely to take place until the tick begins to engorge. Ticks should be removed by grasping them with forceps near to the point of attachment to the skin and then withdrawn by gentle traction. The first stage of the illness (within 7-10 days) consists of the unique and characteristic skin lesion-erythema chronicum migrans, often accompanied by headache,fever, malaise, myalgia, arthralgia and lymphadenopathy. The second stage follows weeks or months later, when some patients develop neurological (meningo-encephalitis, crania or peripheral neuropathies) or cardiac (myocarditis) problems. Finally, the third stage of the disease consists of arthritis (see p. 398), which recurs in attacks for several years, often with associated erosion of cartilage and bone. The clinical features and epidemiological considerations are usually strongly suggestive of infection with this spirochaete. The diagnosis can only rarely be confirmed by isolation of the organisms from blood, skin lesions or CSF. IgM antibodies are detected in the first month; IgG antibodies are invariably present late in the disease. IgM antibodies can also be found in CSF. Penicillin or tetracycline given early in the course of the disease shortens the duration of the illness in approximately 50% of patients. High-dose parenteral penicillin (benzathine penicillin, 2.4 g weekly for 3 weeks) or intravenous benzylpenicillin (2 g daily for 10 days) should be given for the later stages. Ceftriaxone can also be used. 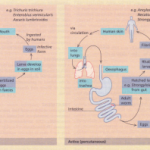 Two spirochaetes, Spirillum minus and Streptobacillus moniliformis, produce similar febrile illnesses following rat bites. With S. minus, the bite usually heals but a local inflammatory response occurs 1-3 weeks later and is associated with swelling, ulceration (sodoku) and lymphadenopathy. A dark maculopapular rash is present during the febrile period and arthralgia occurs. S. moniliformis infection can also occur after drinking infected milk (Haverhill fever). The incubation period is short (1-3 days), the rash is morbilliform and petechial and arthritis is common. Systemic sequelae of generalized infection occurs with both conditions and periodic fever may continue for several weeks. S. minus usually causes a milder illness with a shorter incubation period and has less prolonged sequelae. Spirochaetes can be identified in aspirates from the inflammatory site, from a regional lymph node (S. minus), or from the blood (5. moniliformis). Serological tests are available and may be helpful in diagnosis. Remember that rat bites can also cause other illness, e.g. leptospirosis, murine typhus. Both organisms are sensitive to penicillin and tetracycline. Rodent control is vital.